I believe the best naps are taken on the couch, in your work clothes. With your shoes still on. I believe that beer tastes better from the tap and worst from a bottle. I believe chocolate should always be close at hand, in the purse, in the cupboard, in the desk, or in your locker. I believe an afternoon of watching Dirty Dancing will make the world right again. Same is said for The Sound of Music. I believe that lip gloss and mascara is all a girl really needs…less is totally more. I believe comfortable silence between two people says more than chatty conversation. I believe in loud music and singing along, so I can’t hear myself and the wrong lyrics that escape my lips. I believe shoes make an outfit. I believe green beans will make my hair grow longer, faster. I believe God is good. And people are crazy. I believe that bbq isn’t properly eaten unless you have sauce from ear to ear. I believe that Diet Coke is liquid crack and popcorn is air popped crack, lightly salted. I believe ants and spiders should live outside and let me live inside. Alone. I believe drinks taste better when slurped through a bendy straw. I believe berries taste like summer. 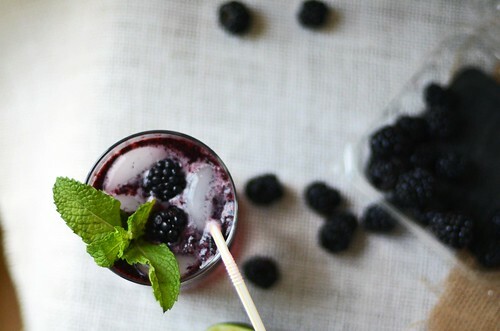 And summer taste like berries. I believe in celebrating the little things in life, along with the big stuff. Milestone birthdays and Friday evenings. New jobs and new shoes. First steps and first dates. I believe Friday’s should be celebrated. With cake at work and cocktails at home. 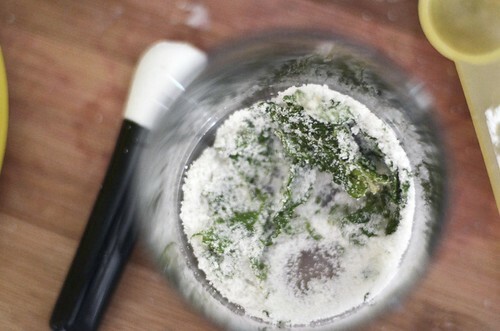 In a glass, combine the sugar and mint leaves. Using a muddler or a pestle, break down the mint into the sugar, releasing its oils and aroma. 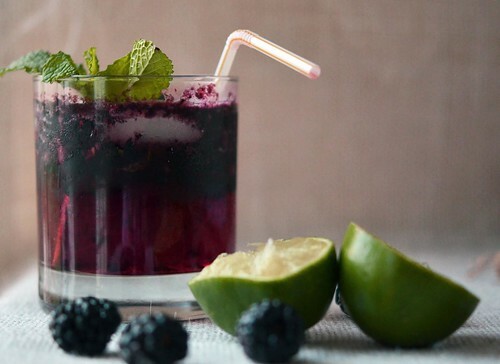 Add blackberries, rum, and lime juice and continue to muddle the ingredients together. ( I used the back of a spoon to smash the blackberries). 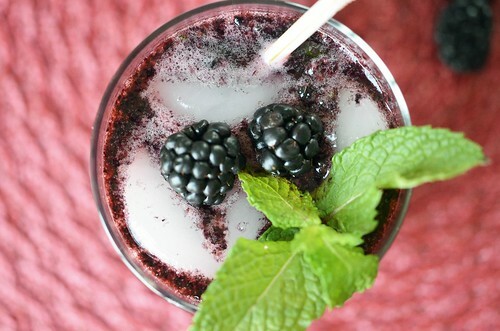 Add a few ice cubes and top off with club soda. 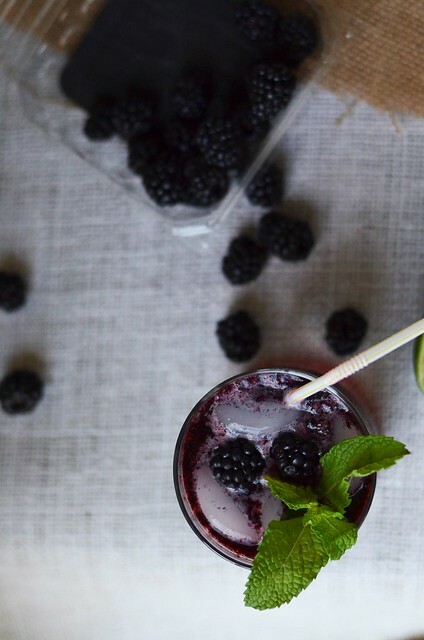 Garnish with extra blackberries and mint sprigs.